Excellent schools, involved communities, abundant green space, proximity to parks and recreation areas highlight the Northwest communities of Germantown, Menomonee Falls, Sussex and Richfield. Community members enjoy the benefits of small town living with convenient accessibility to the amenities of the city. Single-family homes, subdivisions, apartments and condominiums provide variety for growing families or working professionals. Friendly and accessible community members, families with school-age children, and professionals. A variety of rural or suburban home choices include single-family homes, subdivisions and condominiums. Small-town feel with convenient amenities nearby. Park and recreation opportunities abound. Proximity to local parks and access to nearby lakes and rivers, neighborhood camaraderie and community events. Young and growing families, working professionals, and people who seek a feeling of community. Discover the wide range of homes in the Northwest Neighborhoods, active and growing communties! Germantown is a small community located on the southeast corner of Washington County. Originally just one square mile, the Village of Germantown was formed by incorporating seven separate hamlets. The community is home to a business park, historical sites including the “Silo Mile,” a popular area for bicyclists, a farmer’s market featuring locally grown produce, flowers, bakery, frozen meats and poultry, dairy, eggs and cheese, and a community garden where residents can grow fresh produce and plants. 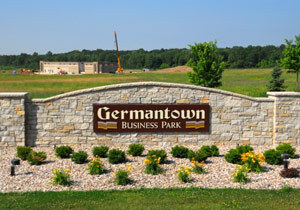 Germantown offers ten public parks and six golf courses including an aquatic sprayground at Kinderberg Park, a skatepark at Haupt Strasse Park, and nearby Richfield Heritage Park, a main attraction for community programs and events. Additionally, enjoy hiking and biking in the nearby Kettle Moraine, or visit Pike Lake State Park for camping, fishing, boating and cross-country skiing. 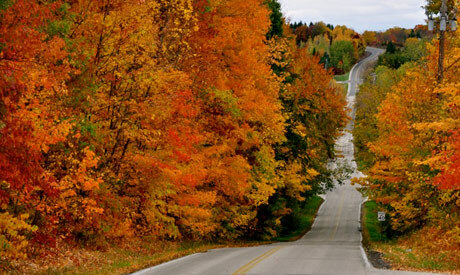 The Village of Menomonee Falls is a welcoming community with small-town charm and a modern, convenient lifestyle in the northeastern corner of scenic Waukesha County. It is the largest village in Wisconsin. The area offers an abundance of shopping, culture, entertainment, recreation and sporting activities, as well as natural amenities, like the Menomonee River and the waterfall that gave the village its name when it was discovered in 1836. The village has more than 2,000 acres of village and county parklands and four 18-hole golf courses. The Bugline Recreational Trail is a 16-mile stretch for biking and hiking and the Lime Kiln Natural Area offers a 16-acre expanse with two historic lime kilns and a quarry, all of which are in the National Register of Historic Places. Old Falls Historical Park features historic homes and buildings from the mid 1800s to the early 1900s. Menomonee Falls has five business parks and is home to large companies like Kohl’s, the Mutual Fund Division of Wells Fargo and Cousins Subs. It also has an excellent education system, with a 97% graduation rate and test scores above the state average. In addition, there are seven private schools, as well as a number of specialty arts and sciences schools. The state’s oldest training school for skydivers is located at the nearby Aero Park Airport. 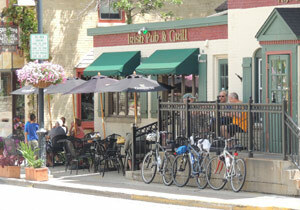 Sussex is a small developing village in Waukesha County that offers a great location for country living. A large variety of single-family homes as well as ample rural acreage for the development of commercial and industrial business are available throughout the area. The first settlers in the area were George Elliot and Richard Cooling. The four-corners area, where Cooling established his blacksmith shop, was a high-traffic area intersected by Main and South Streets (now Maple Ave.). 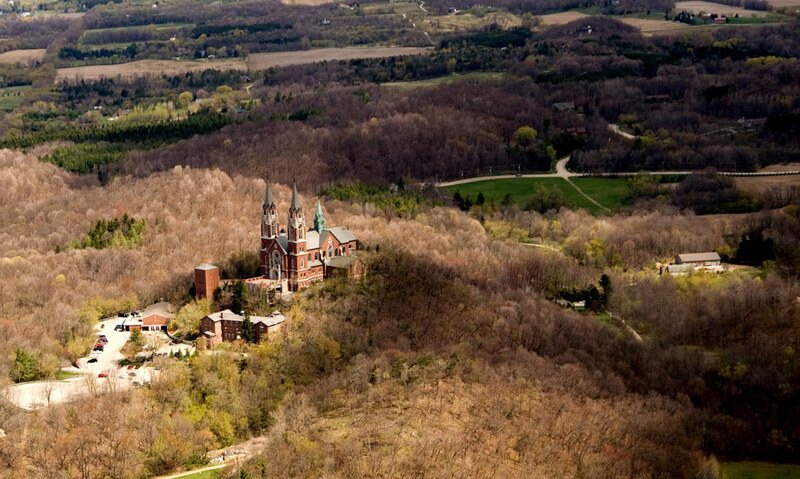 Construction of churches, shops, companies and the Wisconsin Central Railroad soon followed in the mid to late 1800s. The Northwestern Railroad and the Bug Line played key roles in generating traffic into the Sussex area. 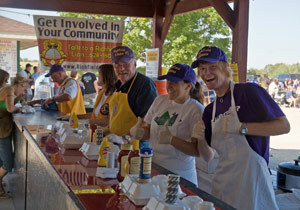 Sussex Lions Days is the most celebrated day of the year and offers a parade, bingo tournament, softball tournament and tractor pull, live music, food and beverages as well as a fireworks show and pony rides. Sussex is also home to the Ausblick Ski Club, a ski facility with a ski hill, snow making equipment and cooling pond for members to enjoy snowboarding, racing and freestyle. In addition, Fairways of Woodside Golf Course will challenge the budding amateur to the most experienced golfers. 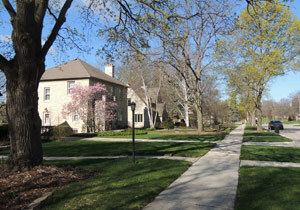 The Village of Richfield is an expanding community with a family-oriented atmosphere. 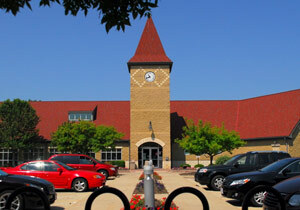 Richfield prides itself as a safe and welcoming community for residents to raise a family. 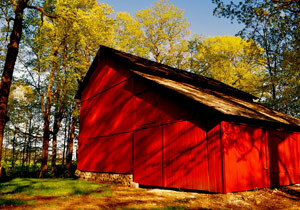 Originally the home of the Menomonee and Potawatomi people, it is located in south-central Washington County. 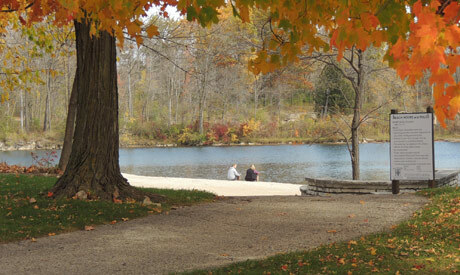 Richfield maintains six community parks including Richfield Nature Park, Heritage Park and Glacier Hills County Park. Glacier Hills offers trails for hiking, cross-country skiing, and volleyball and basketball courts. Richfield Nature Park has nature trails, bird watching and wildlife habitat. Local parks have playgrounds, tennis courts, basketball courts and baseball fields. The village also offers five beautiful lakes with scenic views including Friess Lake, Bark Lake and Amy Belle Lake. Golfers can enjoy 18-holes of golf at the Kettle Hills Golf Course.